The purpose of the scholarship is to assist outstanding New Zealand musical performers who have completed an honours degree in musical performance in New Zealand to continue their musical development at a renowned international music school or conservatorium. The scholarship will be awarded for classical music performance including vocal or instrumental performance or conducting. Applicants will be New Zealand citizens who have resided in New Zealand for at least three years immediately preceding the year of selection. 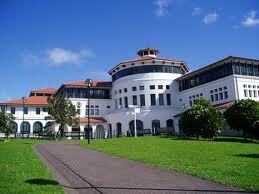 The value of the scholarship is up to US$30,000 per annum and may be used for travel, tuition and residence expenses. The scholarship may be tenable with other scholarships, but account will be taken of the aggregate circumstances of the scholar and of the desirability of using available funds to best advantage. Applications close with the Scholarships Office, Graduate Research School on 1 March 2011. Full regulations and application forms are available from the NZVCC Official Website. Demikianlah artikel mengenai Patricia Pratt Scholarship in Musical Performance, Massey University, New Zealand Semoga Bermanfaat Bagi Anda.